Esteban Ocon and Pierre Gasly have been handed reprimands for their opening lap collision in the French Grand Prix. 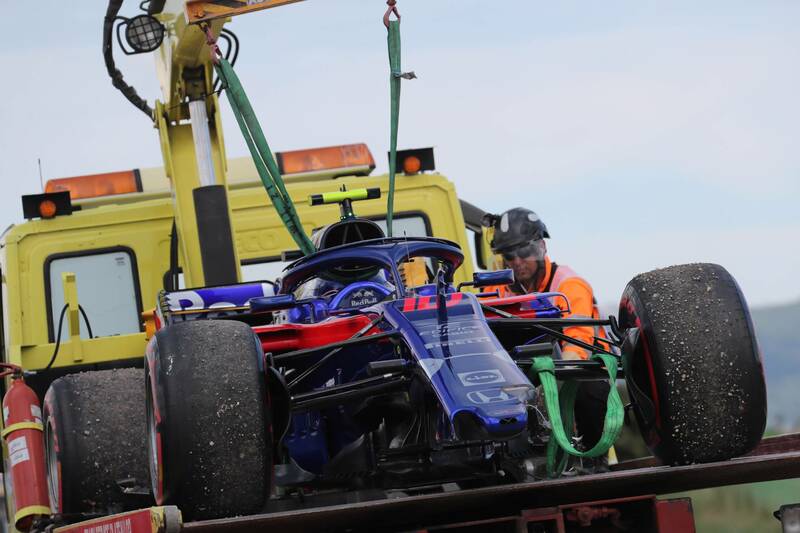 Esteban Ocon and Pierre Gasly have both received reprimands for their opening lap collision in the Formula 1 French Grand Prix. Toro Rosso’s Gasly attempted to make early progress with a move down the inside of Ocon at Turn 3 but appeared to lose control of his car under breaking before slamming into the rear of the Force India driver. Ocon and Gasly retired due the heavy damage sustained to their cars and were subsequently summoned to the FIA stewards, who opted to dish out reprimands to both drivers. "The stewards reviewed video evidence, heard from the driver of car 10 (Pierre Gasly), the driver of car 31 (Esteban Ocon) and the team representatives," an FIA notice read. ”The driver of car 31 was optimistic in his move from the left of the track across to the apex of the corner. “The driver of car 10 was also overly optimistic in his late braking into the corner. Ocon had already suffered damage to his VJM11 after being squeezed by Romain Grosjean on the run to Turn 1, which resulted in the Haas driver being slapped with a five-second penalty as well as two penalty points on his license.